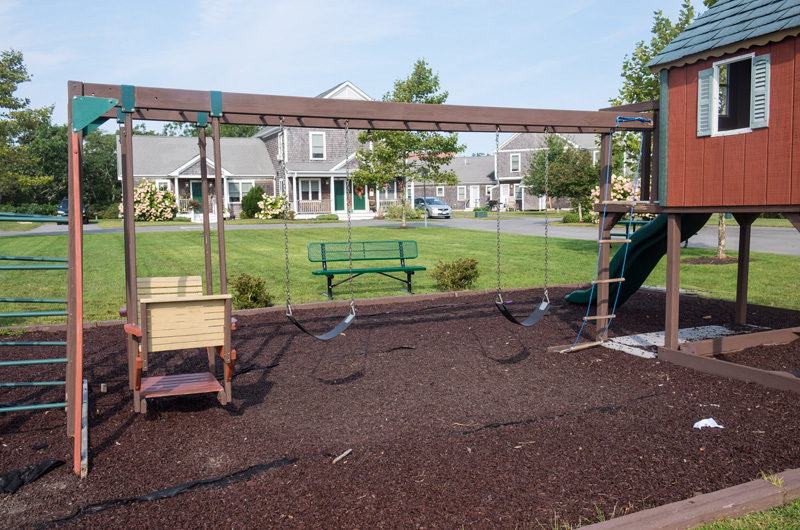 Edgartown's first affordable housing project marks ten-year anniversary. 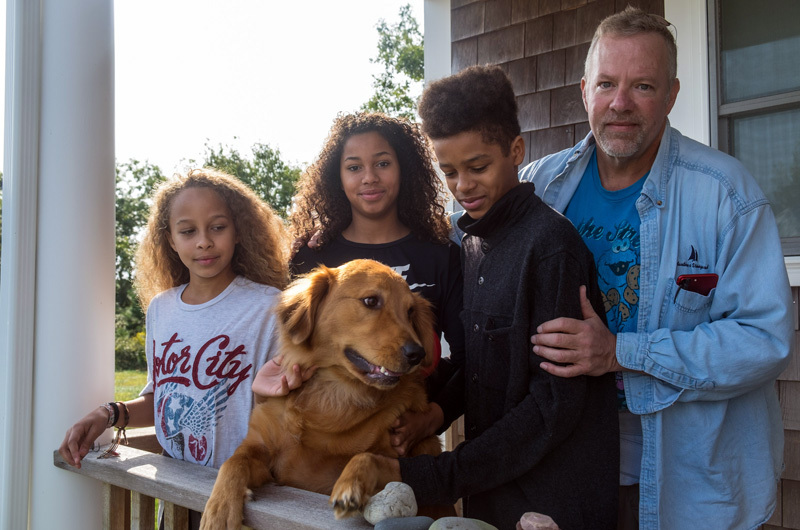 More than 15 years ago, with an Island housing shortage on his mind, Fred B. Morgan Jr. took a drive out to Ocean Heights in Edgartown, a residential neighborhood on the outskirts of town. What he saw there helped set in motion the Island’s largest affordable housing development to date. 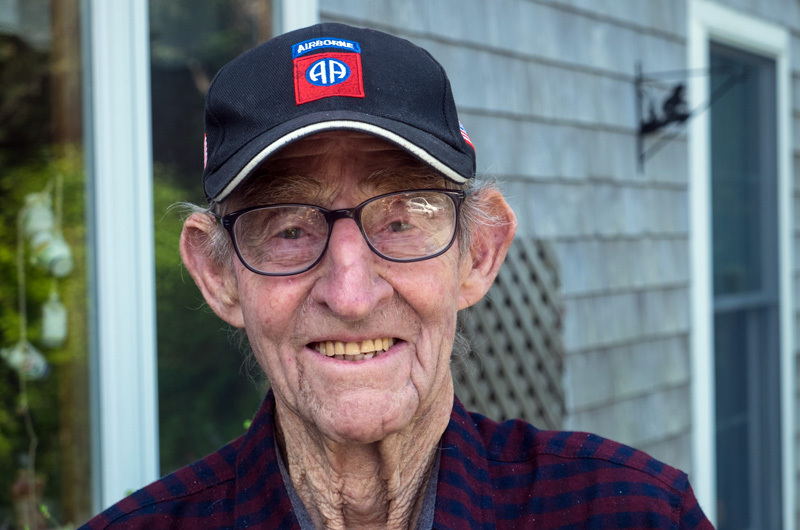 “It was a field, with a lot of acreage,” said Mr. Morgan, a former longtime selectman who turned 96 this week. 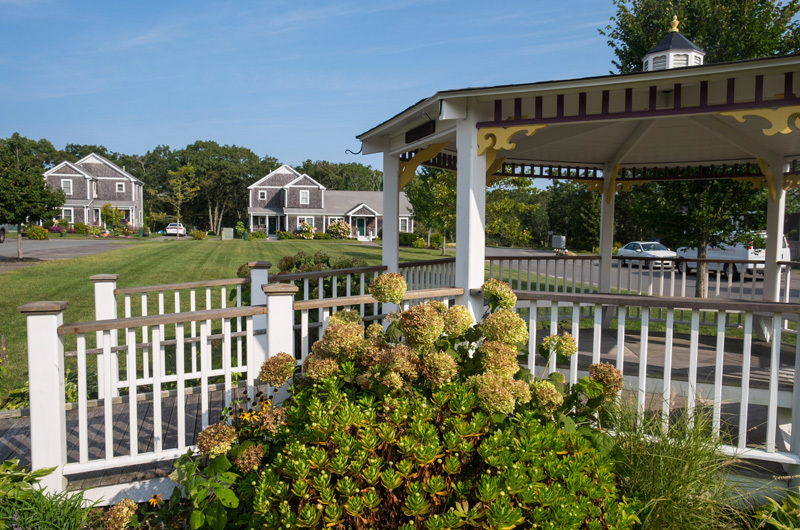 Next week is the 10th anniversary of Morgan Woods — the 60-unit housing development that Mr. Morgan helped create and that many see as a testament to Edgartown’s resolve in providing year-round rental housing on the Island. The project stirred debate for years, but voters repeatedly backed plans by the town, including the allocation of 12 acres for affordable housing, and hundreds of thousands of dollars in appropriations. The $15 million project was funded largely by state and federal programs. The Martha’s Vineyard Commission, despite some misgivings about the effect on abutters and the Island character, unanimously approved the project in 2004, calling it a necessary compromise for affordable housing. Ten years after Morgan Woods officially opened, Edgartown officials and others this week looked back fondly on the project, which set a new bar for affordable housing on the Island. But the project has had its own share of ups and downs over the years. 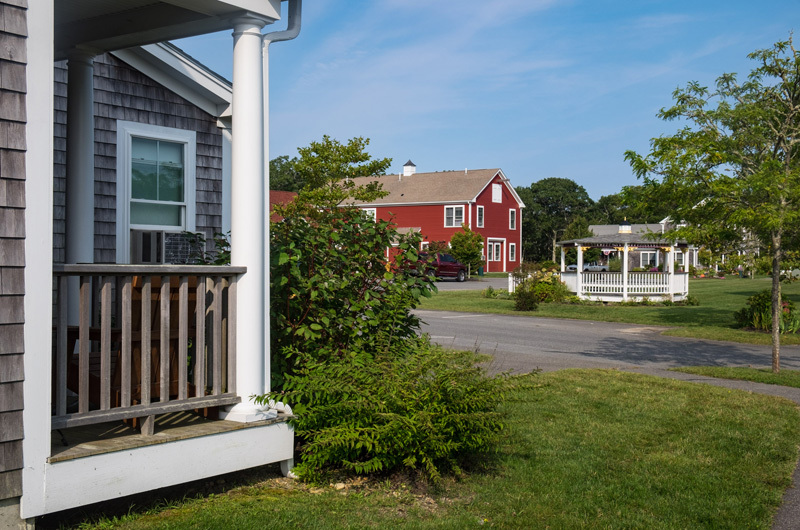 Edgartown worked with the Martha’s Vineyard Land Bank early on to place a conservation restriction on a large tract of land it owned off Edgartown-Vineyard Haven Road, with an area to the north reserved for municipal uses and an area to the south reserved for affordable housing. “That’s one of the reasons it was an attractive site for 60 units,” affordable housing committee member Christina Brown, who helped oversee the project, said this week. The Community Builders Inc. (TCB) of Boston, which built and still maintains the project, said a total of 124 households have passed through since the opening — all of them relocating from elsewhere on the Island. Twenty-four of the units are now rented at market rate, with the rest subsidized through state tax credits. “If this housing wasn’t available to the families that we house, their option would only be to leave the Island,” said property manager Quinn Retmier, who began work last year. Among other things, she has overseen improvements to a community playground and is now working with Island Grown Initiative to develop community gardens on the property. Subsidized rents at Morgan Woods range from $852 for a one-bedroom apartment to $1,135 for three bedrooms, with the market rate units ranging from $1,350 to about $1,900 per month. Town officials say Morgan Woods is mostly a success story. The apartments were initially restricted to Edgartown and Vineyard residents. But John Economos, TCB’s district manager for the Cape and Islands, said a long wait list — typically around 150 families — and other factors of Island life have effectively limited the apartments to Island households over the years. Morgan Woods put a significant dent in the need for year-round rental housing on the Island, but it hasn’t all been smooth sailing. A large fire in 2010 damaged two buildings and left three families homeless at the time. At least three drug dealing operations have been discovered and rooted out by TCB and local police. But residents, town officials and others this week said the development overall has greatly benefitted the Island. On a quiet morning this week, a worker was busy sprucing up a playground in a large grassy area surrounded by houses and manicured lawns on the property. Unlike other housing developments on the Island, Morgan Woods has both a full-time property manager and groundskeeper, and a resident service coordinator on the mainland who helps tenants with everything from rent budgeting to locating elder services. Mr. Economos said a new company program called Fresh Start aims to help retain tenants in seasonal communities, where they might not be used to occupying the same dwelling all year, and where monthly payments can prove a challenge in the winter. He drew attention to the fact that no one has moved out of Morgan Woods in the last 18 months. “In the apartment business that is just unheard of, that kind of stability,” he said. But as with many housing developments, not all tenants have been satisfied with their experience. John Chivers, who moved into Morgan Woods with his three kids after winning a housing lottery in 2011, leaned on a crutch surrounded by cardboard boxes in the house where he is being forced to leave at the end of the week. After being injured on the job last year, he said he fell behind in his rent and was served an eviction notice. He eventually obtained an extension, he said, but even after having back surgery and eventually paying the overdue rent, he still has to leave. He recalled a moment early on when his kids fell off their bikes a few houses down and neighbors came to the rescue. “I was the third person at the scene,” he said. “There were parents there already with band-aids. It feels sometimes almost like a neighborhood from the 1950s.” He said that sense of community only makes it harder to leave. From an affordable housing perspective, at least, town officials this week roundly praised Morgan Woods as an important milestone for the Island. “I think that Morgan Woods showed everybody that it could be done,” said Mark Hess, chairman of the Edgartown affordable housing committee, which among other things is planning 32 rental and six ownership units on Meshacket Road. He said the tendency on the Island now is to focus on smaller projects, but with a similar cluster design. Mr. Morgan hoped other towns would follow suit, but he also acknowledged that the Island’s affordable housing problem is likely here to stay. When others talked, Fred "Ted" Morgan acted. Morgan Woods is a small part of the legacy of a man who served his town, his Island and his country with honor and distinction. Another achievement for Ted - of many wonderful ones for his town . Come on people open your eyes the people running this place aren't for islanders. Residents it's time to speak up. Morgan Woods is good for some, but what about the young people making twenty thousand or less. These people are necessary to our Island. This is not affordable housing for them. Wake up Martha's Vineyard. Morgan Woods is a fine development but if we are really going to solve the problem this area would be maxed out with 3 or 4 story apartment buildings maximizing the capacity of the area. Every town on this island could have, and should have been able to have built a similar housing development to Morgan Woods in the course of the last ten yrs! I have been here since the beginning and it is a decent and safe place for families to live. It has helped my son to be able to finish High School here and go on to commuting to CCCC. What's holding them up? While I have reservations about The Community Builders Inc. They can be brutal when one gets a little behind in their rent, Mr. Economos is a reasonable guy, but the pressure that they place on their property managers is horrendous! In ten years MW has gone through four property managers and three maintenance persons. The planning and design of Morgan Woods could have been more thought out, screen doors would have been decent, and our back yards should have been planned with more privacy but for the most part it's a decent roof over our heads -if one can hold onto it in such a fluctuating economy. Shame on the other towns for not doing more to help alleviate the housing crisis on this island.